I have been thinking about painting a piece of furniture blue for some time now. I ran across pictures like these and thought how pretty they were. 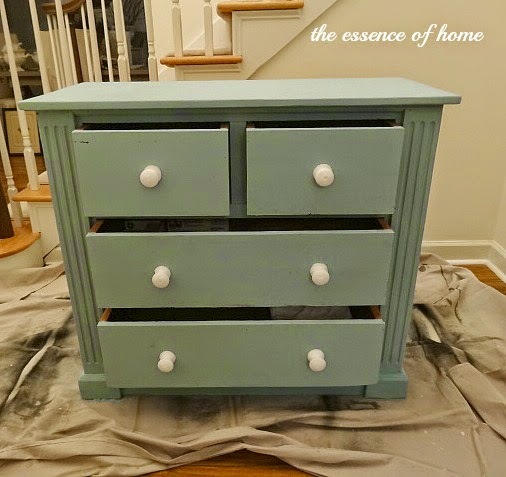 Now, although, those pieces of furniture are painted in Miss Mustard Seed Milk Paint, I was impatient and didn't want to have to order it and then wait for it to arrive. So, I went down to my local antique shop and picked up something similar. I just wanted something in that general color. This is the first time I've ever used this brand. I chose Memphis Blue. As you can see its a pretty soft blue. And what did I paint? Now, I know some of you might be cringing that I painted over this pretty pine piece, but I bought it several years ago at a consignment store with mostly credits that I had from things that I sold. So, it's not as if it came over from France or anything! Here it is with the first coat on it. Then I painted the knobs white. I wanted this piece to look distressed, so I used some sandpaper to take off some of the paint. After letting it set overnight, I decided to age it even more by adding some dark wax to it. It also helped tone down the blue a bit. Now..............voila! All done and I'm very happy with the results. I like how country it looks and adds a bit of color to my mostly neutral home. So, what about you? Have you been inspired by anything out there that makes you want a change? 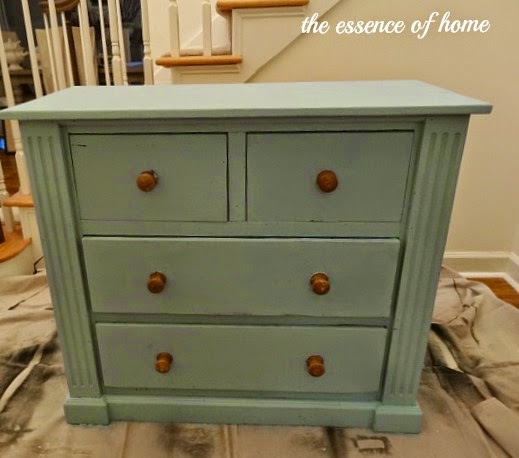 Your dresser turned out beautifully, and I just love the color! 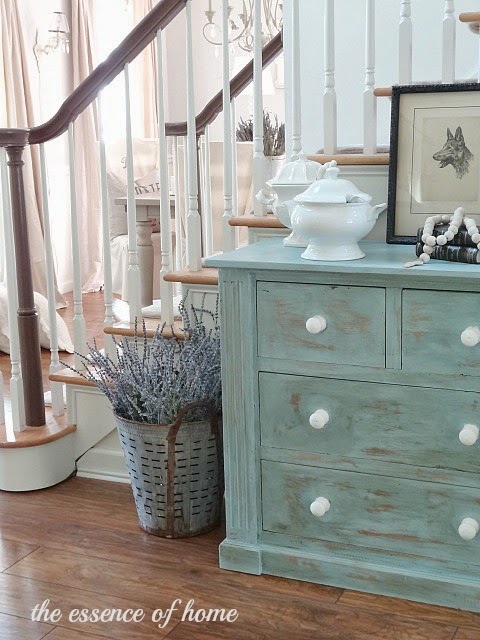 I loved that pine piece but will admit that the blue is stunning in your entryway. I love it!! "I absolutely LOVE your style". The color you chose is perfect. 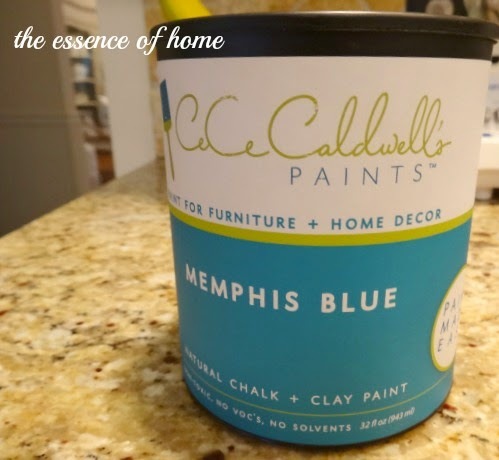 I have never used CeCe Caldwell paint. How does it compare to ASCP or Miss Mustard Seed. It looks beautiful. I love the white knobs on it. Just sets the blue off. 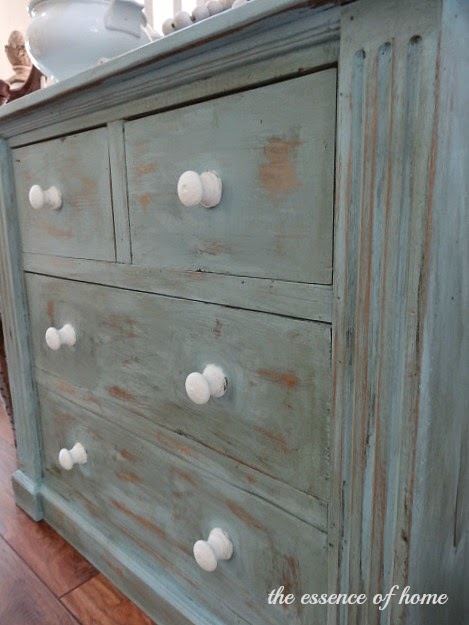 I need to buy me a dresser for our sewing room and I want to paint it blue when we find one. Oh My this is gorgeous. Love love love the color and it looks so pretty in your entry way. You knocked it out of the park on this one. Love it. So pretty great job. It turned out wonderful Kelly! 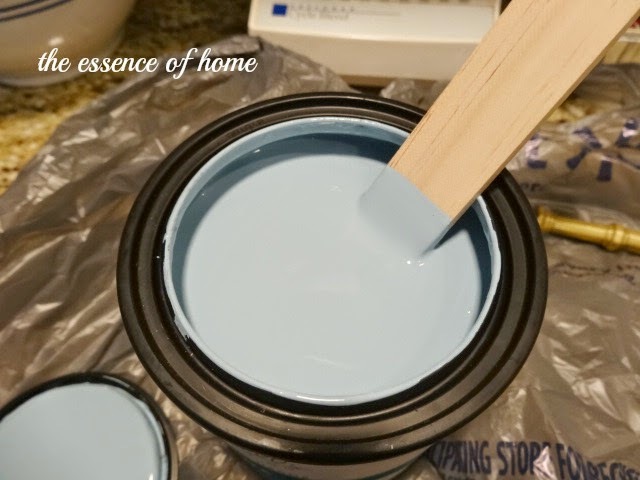 I love that color and it looks perfect in your home. Wow, Kelly, this color is really pretty! You did a great job with the paint and the distressing. Looks gorgeous! Really a hit with the white knobs and blue aged body. I'm trying to get brave enough to get into the blue shades for furniture. Seeing yours makes me want to take a chance. 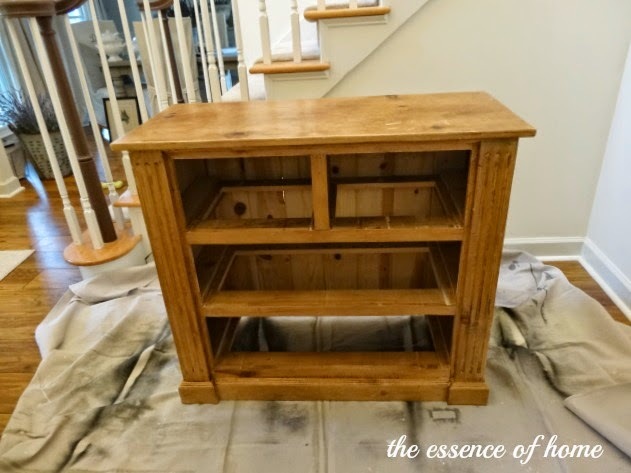 CC Caldwell's "endurance" coating is wonderful too for putting a hard finish on the tops of furniture. The dresser came out perfect and it goes with the softness of your home so well. I like using blue paint, too. 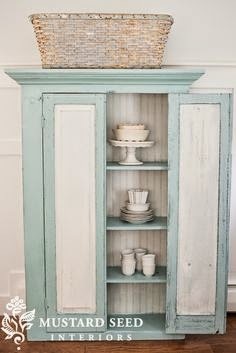 It looks so good distressed and seems to fit in everywhere. That looks good even though I loved the pine. I certainly understand wanting to change it! That is such a pretty blue Kelly. I am not a wood purist:)and I paint wood pieces all the time. Nice bright colour in the foyer. Can I tell you how much I love that!!! Awesome! What a pop! Perfect!! 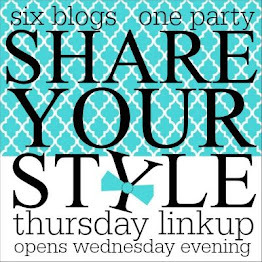 I've really been loving touches of blue lately, and this turned out gorgeous! That pine piece was always pretty, but, wow!! I can't believe what a difference the blue paint makes! It really looks great! You did the perfect amount of distressing too. Good job! Love the touch of blue! 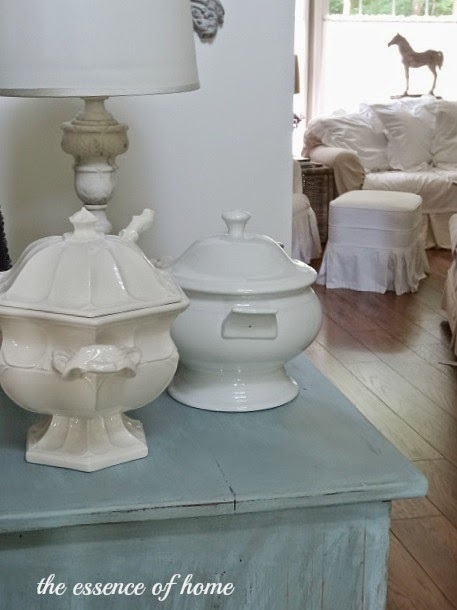 It looks so lovely with the white ironstone pieces you've added. Great job! 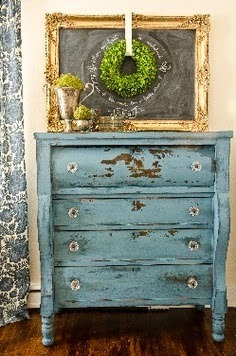 I'm inspired right now.LOL Love it and the color...makes me want to do my washstand in my foyer. Yours turned out so nice and yes, it adds the exact amount of color to your home! Red geraniums would look sweet on it for summer! Such a super pretty color & I love how you have the entire space styled. It is beautiful! The muted tones of the blue work perfectly with your other decor. In fact it showcases them more by having an alternate color. You did a great job transforming this piece, Kelly. Love the color! I think you did right giving that pine piece a make over. It is a beautiful updated piece now. You did a wonderful job on its re-do. YES!!!! I LOVE it!! You continue to inspire me!! I am gearing up to paint a few pieces - just not sure what and what color! Love, love, love it Kelly....the blue looks wonderful in the foyer...great color and great job! Okay Kelly, you can't see me but I'm jumping up and down! This is sooo pretty! I love the new look. I just can't help it, I am a FAN of painted furniture. And you did a Great job. I love the white knobs too... they would be fun to change up when you get bored. Have a great week! Kelly...I love it!! I have touches of aqua/light blue thru out my home. It is one of my favorite colors and looks great with white. 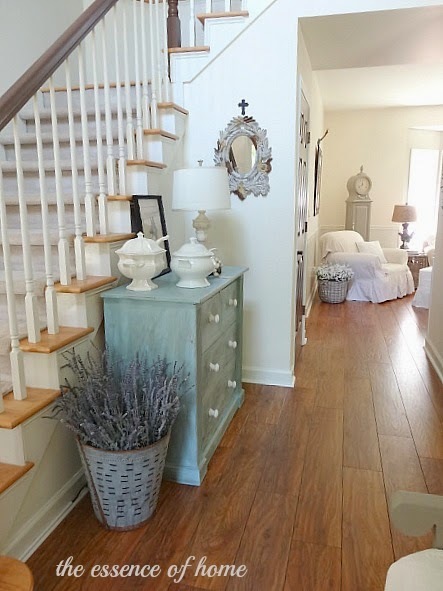 I love the pop of soft blue against your wood floors! Great job, Kelly. Love the blue which really makes your ironstone pop. Completely lovely! I like the blue as it now stands out on your gorgeous floors. Well done! It looks pretty in your entry way. I liked it before, but I like it after too. The power of paint! 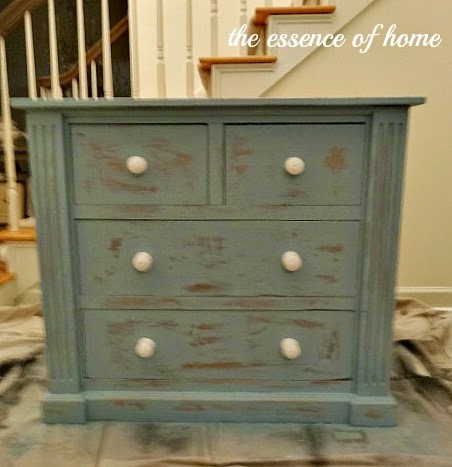 This was truly an improvement...and I'm neither a painted furniture fan nor a blue person...but this looks great. Looks great Kelly..Love the color.. I have always been curious about that paint. No one in Bham carries it. How did it compare to ACSP? Your piece looks fantastic -- perfect soft color with all your greys and whites. Kelly, I have to say I love how this piece looks and I think it adds some more warmth to your entry. Love the distressing and it really pops all of your accessories more to me. Oh, I love the color you chose for that piece in your entry. Looks stunning! I have to admit I did cringe a little bit when I saw what piece you were painting, I liked that piece before but now it looks beautiful. I like the pop of blue. Wow - my heart skipped a beat when you said you are thinking about staining the cabinets. I was a bit sad when you said you wanted to paint them, but figured it's your house and was happy to play along with the color game. I hope staining works out - they are gorgeous.